West Sumner – Vernon V. Redding, 84, died unexpectedly Monday at his residence on the Greenwoods Road. 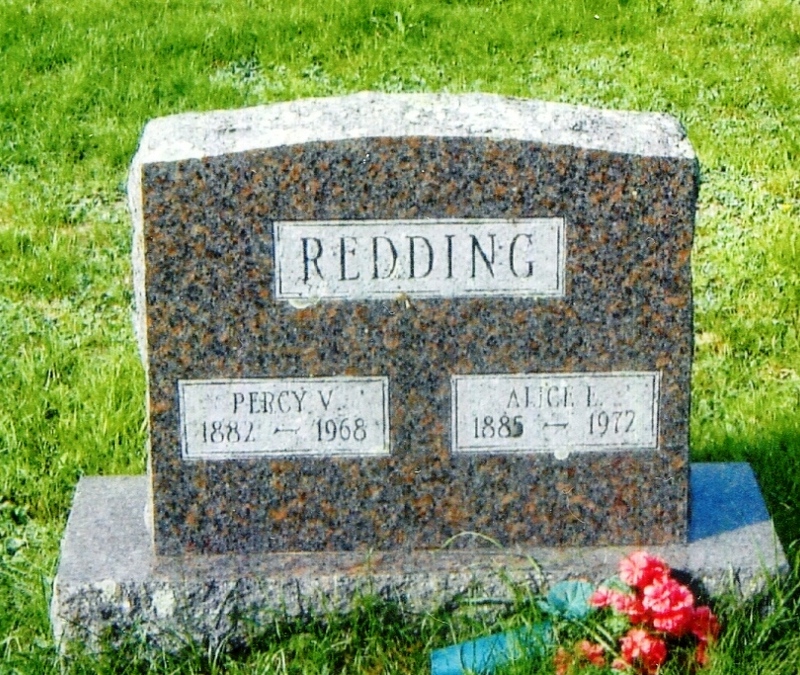 He was born at Redding, June 22, 1906, the son of Percy V. and Alice Cole Redding. He attended the Morrill School in Sumner and Edward Little High School in Auburn. Mr. Redding was well known statewide for his saw filing and instructing and was the subject of an article in Belsaw Magazine regarding his profession. He started his career at Redding Brothers Mill in Redding and later worked at Penley Corporation of West Paris, Stowell’s Silk Spool Co. in Bryant Pond, Stowell-McGregor mill in Dixfield, and Isaacson Lumber Co. in Livermore Falls. In later years, Mr. Redding was self-employed at Vern’s Saw Shop in Sumner. He was a life member of Northeast Saw Filers Educational Association. He was a U.S. Army veteran of World War II, serving in France, Holland, Belgium, and Germany. He was a life member and past commander of the Holland-Damon-Maxim Post of the Veterans of Foreign Wars in Canton and was currently serving as its adjutant and chairman of the Voice of Democracy essay writing contest. He was past commander of District 9, Department of Maine, VFW, and All-State Post Commander. He was a life member of Amvets Lane-Dube Post of Livermore Falls. He was currently deputy director of Emergency Management Agency in the Town of Sumner. He was a member and past commander of Joshua Chamberlain Camp. Sons of Union Veterans fo the Civil War. He was past commander of the Department of Maine, Sons of Union Veterans of the Civil War, past commander of New England Regional, SUV. He was a member of the Historical Preservation Society (Civil War) of Peaks Island. He was past master of Pleasant Pond Grange and a member of the Oxford Pomona State and National granges, Pennesseewassee Lodge, Knights of Pythias of Norway, secretary of Pleasant Pond Cemetery Association, a member of the Mane Obsolete Automobile League, Inc., Webb River Valley Sportsman’s Club, National Rifle Association, and Sportsman’s Alliance of Maine. Mr. Redding was past president of the Canton Fish and Game Protective Association, a member and past commander of John D. Long American Legion Post of Buckfield, a member of the 75th Division Association Inc., and Disabled American Veteran’s Club. He belonged to the Association Rhine and Danube Anciens de la Premiere Armee Francaise XXI C.A. USA. 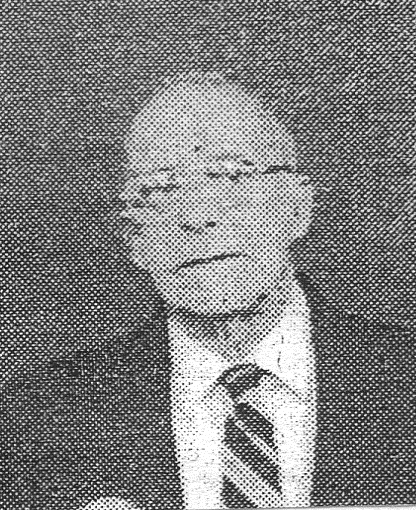 He was a member of the Senior Citizens of Sumner and the Oxford County Senior Citizens Inc., a former selectman of the town of Sumner, and served as a town meeting moderator. In his younger years he was well known pitcher in the Pine Tree League. He is survived by one daughter, Mrs. Jean Michallyazyn of Salem, Mass., one sister, Sadie d’Aiutolo of Sumner; and three grandchildren. 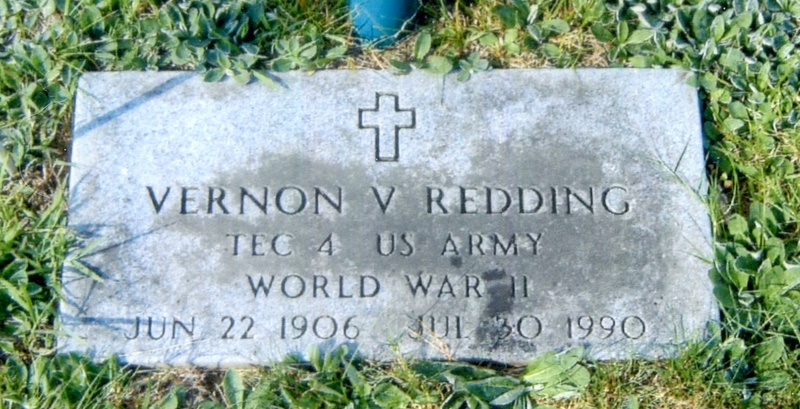 Redding – Died in West Sumner, July 30, 1990, Vernon V. Redding, 84. Funeral services will be held Friday at 11 a.m. at West Sumner Universalist Church with interment in the Pleasant Pond Cemetery, West Sumner. Visiting hours Thursday evening from 7 to 9 at Andrews Funeral Home, South Woodstock with services by the Holland-Damon-Maxim VFW Post at 7:30. In lieu of flowers, memorial contributions may be made to the Tri-Town Ambulance, P.O. Box 275, West Paris, ME., 04289.